The MTV1 features a unique clamping system which secures virtually any container from both top and bottom. Designed to accommodate large bottles, sealed containers or entire tube racks filled with tubes, it makes loading and unloading a breeze without the need for individual clamps or fixing bars. 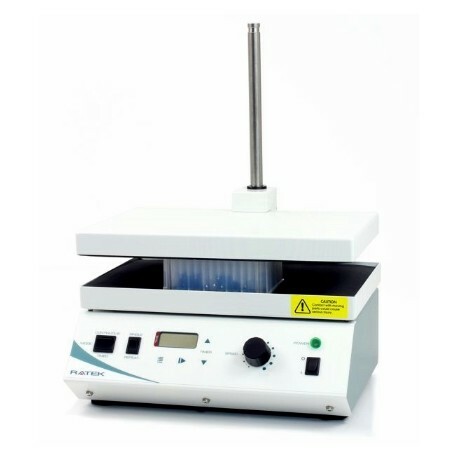 With the top clamp removed, the MTV1 can also become a large manual vortex mixer by holding individual tubes on the platform, making it a versatile tool around the lab. 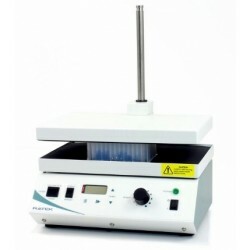 Features Platform size of 320 x 200mm Speed range of 750 to 3000 RPM Liquid crystal digital timer with countdown or pulse mode Warranty period3 years The MTV1 can hold a standard test tube rack full of tubes (of equal length) up to the maximum platform size, for timed or continuous hands free mixing. 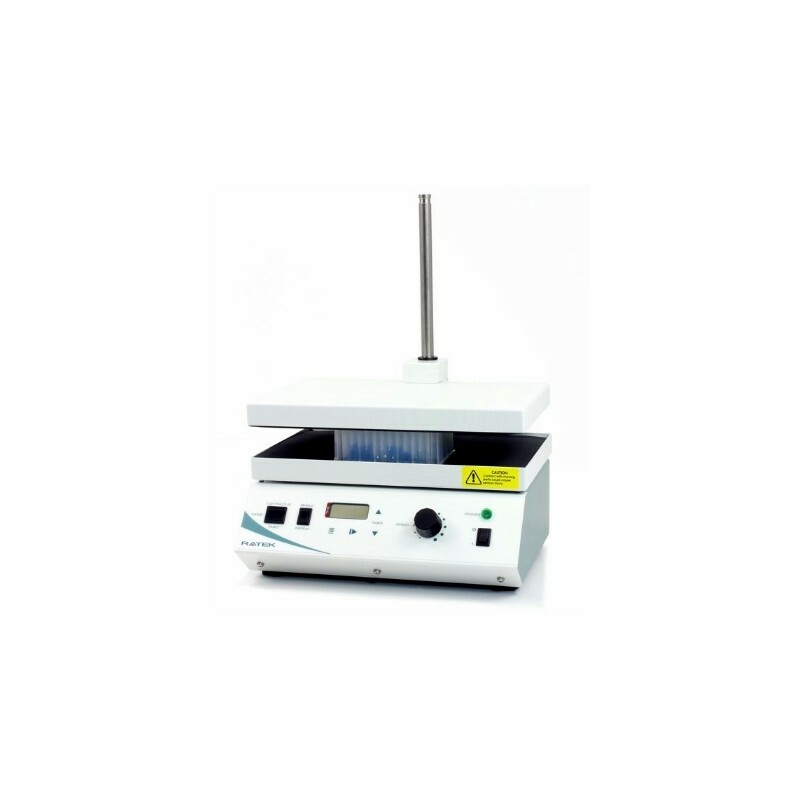 The MTV1 can also be used as a manual vortex mixer, with the clamping plate removed various tubes or flasks can be held against the platform at any angle to achieve the desired mixing action. The adjustable speed control allows for the mixing action to be varied as required.